#2 | Ask For Review! Search for two local photographers at a similar experience and price level as yourself and become “referral buddies!” Create a shared google calendar with your wedding bookings. When you receive an inquiry for a wedding date you’re already booked, write the bride back kindly with a raving review for the 2 other photographers. She’ll be thrilled you took the time to point her in the right direction! I say this one very carefully… but after you’ve built a relationship with venues and vendors over a stretch of time, it doesn’t hurt to ask be placed on the Preferred Vendor List. But please make sure it is after building rapport with the contact and supporting them in their business! Sometimes it’s a good reminder for venues to update their lists and they would happily include you. We know you love photography and that you want to capture the client’s special memories. Instead, lead with your client’s problem or desire–what do specifically want from their photography experience? Are they looking for a fairytale wedding where everything is perfect? Or do they want a mountaintop adventure? Write to her, share how you’ll help her achieve her desire and then follow up with your accolades and a few fun facts about yourself. A new wedding inquiry lands in your inbox (yay!) — what’s next? This is SO important! A client has taken the effort to email you. They like your work, something has connected with them and now you need to close the sale. We need to respond thoroughly & quickly in our email response. We also need to show genuine interest in their wedding! Never lose sight of this fact: your email response back is *exciting* for the bride because it’s one more step in planning the wedding of her dreams. Tap into and share that excitement with her! I also recommend asking open-ended questions. Don’t overwhelm her with a list, but I love to ask things like, “How did you hear about my work?” & “What are you most excited about on your wedding day?” Give them a reason to reply to you, this way! Finally, include a ‘call to action,’ — a clear next step for them. I like to ask them to reply to set up a time to chat on the phone or on a FaceTime call. If you prefer in-person meetings, by all means, ask them to meet! P.S. 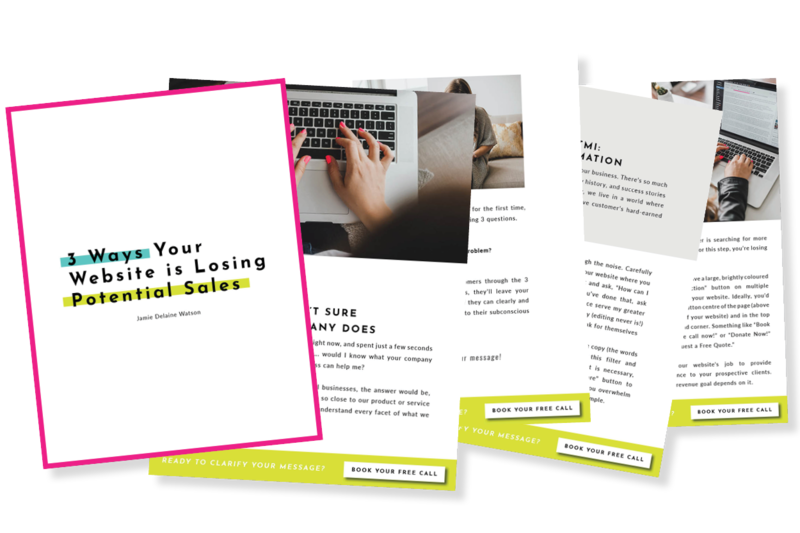 Purchase the exact email templates I use in my business, right here. The more you can get your name “out there” online as a photographer, the more clients who will hear about your work! A great way to do this is blogging. There are 3 ways of looking at blogging I want to share: 1) writing helpful articles for brides-to-be, 2) featuring vendors on your blog, 3) submitting your work for publication to wedding blogs. Looking for 40 more ideas to market your business?